Up to this date we have received 278 abstracts from 51 countries. Welcome to CETRA 2018 home page! 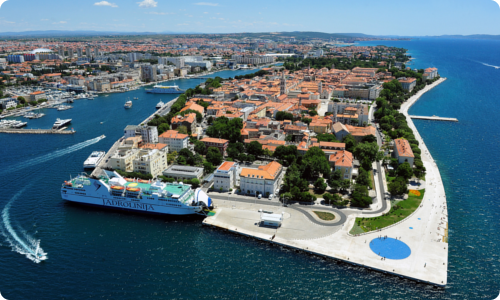 It is our pleasure to invite you once more to Croatia, this time to Zadar, European Best Destination in 2016 , to the 5th International Conference on Road and Rail Infrastructure (CETRA 2018) that will be held on 17th - 19th May 2018. Organizing Committee of the International Conference on Road and Rail Infrastructure wishes you a Merry Christmas and a happy New Year 2019! We are looking forward to seeing you on CETRA 2020! we would like to thank you for having participated in CETRA 2018. We hope that you had a good time in Zadar, and that you had a chance to hear about interesting technologies, research and innovations related to road and railway infrastructure, and to meet with old colleagues and, also, to gain some new contacts. The organizing Committee of the International Conference on Road and Rail Infrastructure wishes you a Happy Easter! We are looking forward to seeing you at CETRA 2018!